It's time to put on your savvy marketer hat and distinguish yourself from your competitors! Create a lasting impression in the minds of HPC conference and trade show attendees. The more leads you get the better opportunities you have to convert them into sales. Get your name and logo out there! Brand your organization at the 2019 National Conference! At HPC conferences, attendees are ready to learn, ask questions, and make purchasing decisions. The trade show floor is the hub for demonstrating new products and techniques, providing immediate and future sales, as well as product research and test marketing. Raise your company's brand awareness, support workforce development and publicly demonstrate your commitment to energy efficient, healthy, sustainable homes. HPC understands that corporations, organizations, and individual donors have different needs. With HPC, those needs won't be met with a "cookie cutter" approach. We create custom-made packages designed with your needs in mind. We will work collaboratively to ensure that your sponsorship of HPC is a mutually beneficial partnership. For more information contact Chris Docchio, Director of Partner Relations, at 412-424-0046 or email at cdocchio@homeperformance.org. Session assistants are required to attend all sessions in an assigned conference track during the course of the conference. Session assistants must have a friendly, service-oriented attitude and commit to attending all days of the conference. In exchange for volunteering, you will receive free registration for the conference, which will provide exciting educational and networking opportunities. 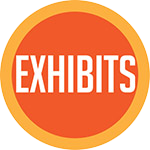 This includes access to the general session, exhibit hall, education sessions, meals, receptions, and CEUs. This is a great opportunity to participate in sessions and learn new information about the industry! Please note, lodging is not included. For more information about volunteering at one of our upcoming conferences. Please contact Bethany Dittmar, Director of Conference Education, at bdittmar@homeperformance.org. We offer a variety of important tools and exciting messaging to help you spread the word about your participation in HPC’s conferences! 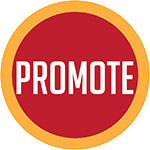 For organizations seeking the role of a Promotional Partner, contact Adrienne Buka, Director of Marketing & Communications at abuka@homeperformance.org. Materials for your use below.